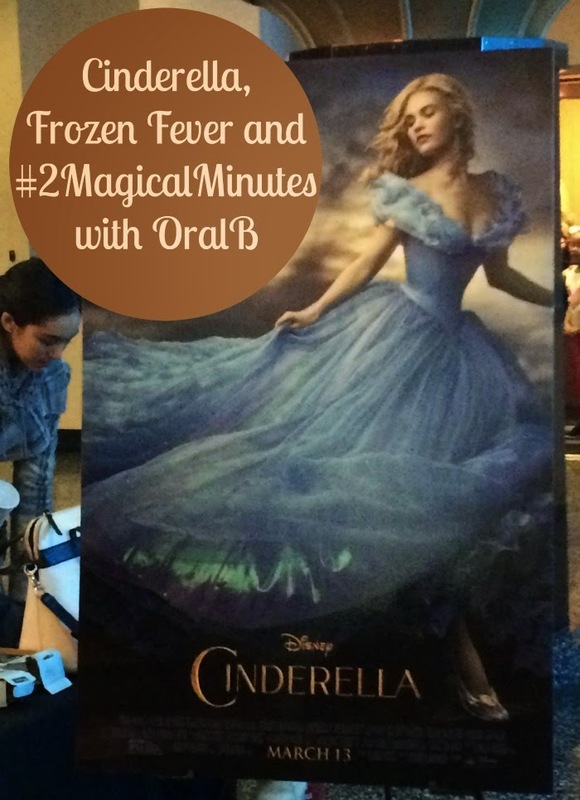 Thanks to The MOMs and OralB for inviting me to an exclusive screening of Frozen Fever and Cinderella. All opinions are 100% my own. Cinderella was my favorite movie growing up. I remember my sister and I watching the VHS we had over and over. We watched it so much that we could repeat almost the entire movie and songs word for word. When I saw that they were remaking the movie I knew I had to see it! My daughter loves all of the Princesses so every time she saw the Cinderella commercial she yelled "Cinderella! I wanna see it in the movies!" 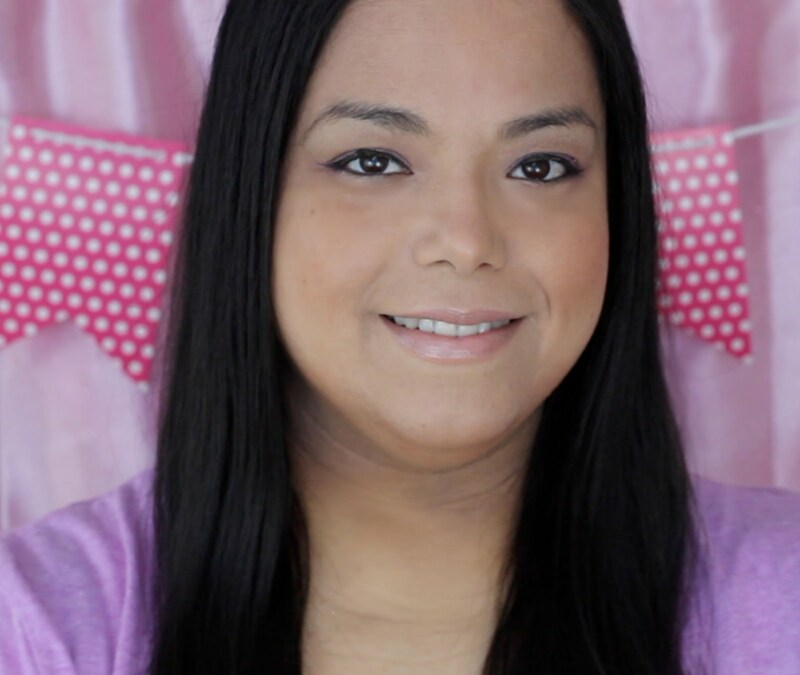 My daughter is Disney Princess obsessed and it all started with the Frozen movie. Anna is her favorite Princess and at any given minute you will see her with her little Anna doll in her hand. I cringe at the thought of that doll ever getting lost so I have a spare that she doesn't know about! :) It was quite fitting when I saw the they were showing the Frozen Fever short film right before the Cinderella movie. 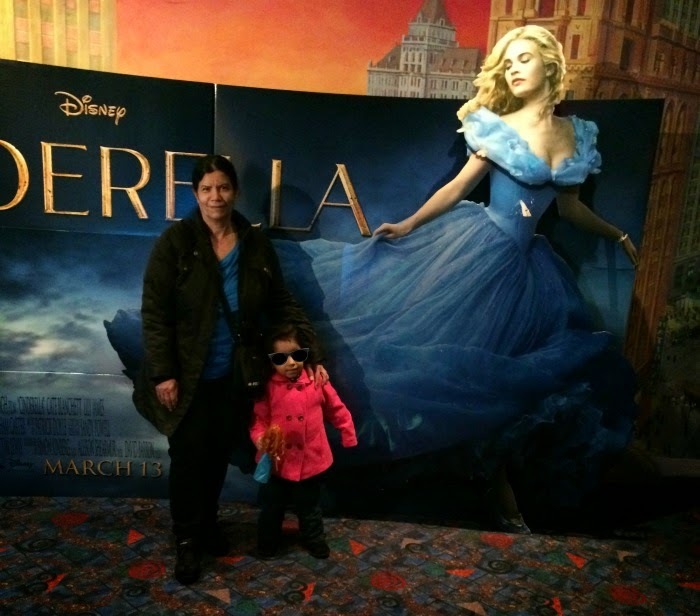 When I got the email for The MOMs to attend an exclusive screening of the Cinderella movie I was super excited and knew I had to take my mom and daughter along with me. The girls were asked to dress in their favorite princess attire so I dressed up my toddler with her Belle tiara. Before the screening we got to attend a little reception held by OralB. They showed us their amazing Disney Magic Timer app which I was very familiar with. When I was searching for tips on how to get a toddler to enjoy brushing their teeth everyone said to get the Disney Magic Timer. I tried it out and I have not had to fight once with my toddler about brushing her teeth ever since. With the app you enter the profile, scan the toothbrush and it will show you a #2MagicalMinutes clip of their favorite character on a smartphone or tablet. OralB just came out with a line of Frozen toothbrushes and toothpaste so my toddler was thrilled to see them on the packaging. We got a nice little gift bag with some Frozen toothpaste and toothbrush. After the reception into the movie theatre we went to watch the Frozen Fever Short Movie. All of the little girls and parents were glued to the screen. It was really cute and the song was amazing. I can't wait to see Frozen 2. 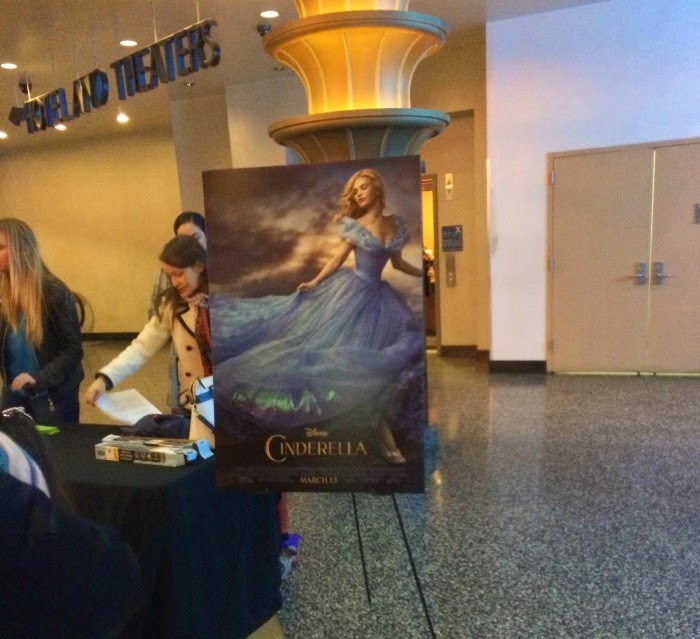 Then came the main attraction and we got to see the magical Cinderella movie. I loved how close to the animated movie it was and how beautiful the costumes and backgrounds were. My toddler enjoyed the movie so much that she actually sat still and really watched it. My mom and I both enjoyed the movie too so it was a win-win for all of us. The Frozen Fever and Cinderella movies are playing right now at your favorite theater so make sure you go out and see it! 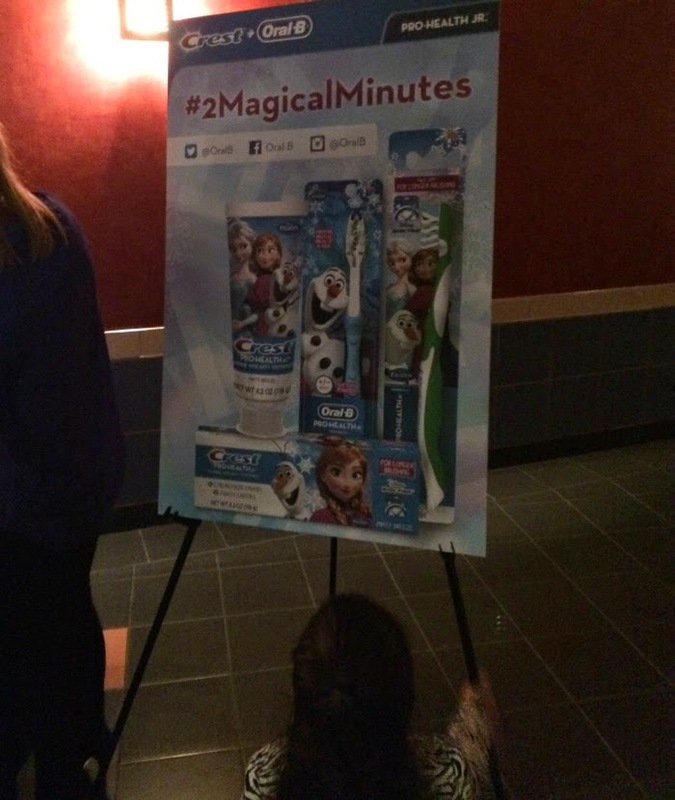 You can learn more about the Disney Magic Timer and OralB's new products here. I want to see this movie really bad, but so far I can't find anyone that wants to go see it with me. LOL. I guess I am going to have to wait until it comes to Netflix. I'm looking forward to seeing Cinderella! I loved the animated version growing up and this one looks fantastic. I may end up going to see that movie all by myself--I have always loved Cinderella. If it plays near me I will quietly walk in and take a seat--I will bring tissues cause I always cry during Cinderella! I can't wait to see this movie!! 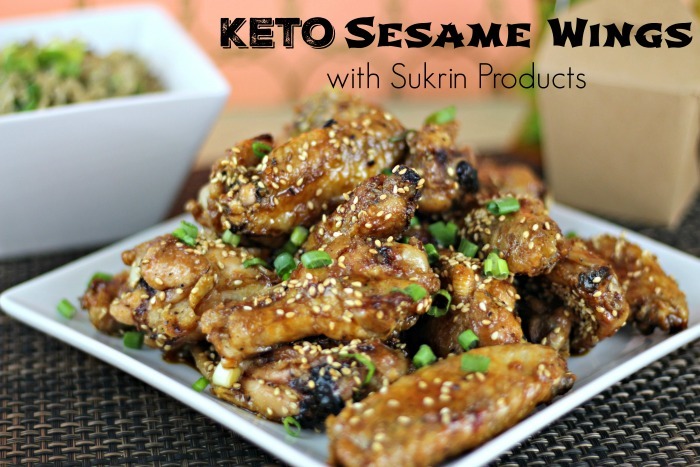 I have heard some amazing reviews! I want to see this so bad! Looks darling! There has been so much chatter about this movie. I bet it is good! What a fun way to encourage kids to brush! The movie is going to be a fun one to see too! What a nice three generation outing!